"We have been very pleased with Paige Moore and her team. She sold our home in Fairhope almost 5 years ago when we moved to Birmingham. When we decided to move back to the Eastern Shore, for over a year, Paige sent emails to us of potential homes that we might be interested in. When the time was right, we found a home, and Paige negotiated and handled virtually all aspects of our home purchase while we were out of town. What a relief it was to know that we were in good hands! I would highly recommend Paige Moore to anyone who is selling their home or buying a home." "Sharon Lynn was awesome! We came from Washington state and she worked remotely with us. 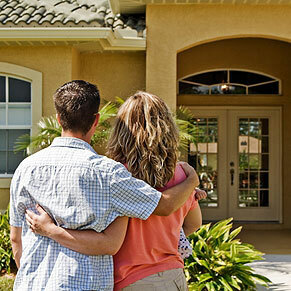 She provided suggestions and was effective and responsive with our home search and purchase!!" "Paige managed to sell our house in December of 2010 when nothing else was selling. She managed to get not one, but two offers. We were very impressed with her." Sharon Lynn was awesome! We came from Washington state and she worked remotely with us. She provided suggestions and was effective and responsive with our home search and purchase!! Great person to work with! Found us exactly what we were looking for and helped us every step of the way! She gave us great referrals for everything we needed to get our home. Always easy to get in touch with and happy to answer any of our questions. Couldn't be happier to work with her! Sharon Lynn was very helpful in finding us the right home. We looked at several houses and Sharon was very patient and generous with her time. I would recommend Sharon to anyone looking to buy or sell real estate. Awesome agent! I would recommend her to anyone looking for one. Very quick to respond to questions. She helped me tremendously through the whole home buying experience. Love her! Paige Moore and her team were wonderful. Paige went above and beyond make sure we found our dream home in an excellent location. Her knowledge of the area is unsurpassed. I would highly recommend her and her team for locals and people new to the area like we were. Paige and her team were great to work with during the entire selling process. Each step was handled very smoothly, negotiations with the seller were very professional and overall I could not have asked for an easier experience. I would recommend Paige to anyone, whether selling or buying. Paige did her homework even before listing my property. She put a good price on the property and found a qualified buyer. She made me feel she understood the buyer's limitations and was able to steer us in a right direction to complete a deal. Pleasant, not pushy. Knowledgeable, not arrogant. I'm very satisfied. Sold two houses for me. One in two weeks from listing and the other in less than a month from listing. Page will give you a straight forward answer on the listing price and will move very quickly to list it on all media. She is a believer in the internet and will make sure that your property is displayed properly and to its best advantage. She and her team are top notch and keep you informed of all showings and feedback from those showing. I recommend her as the top realtor in this area. I bought a house from Paige and the process was easy as 1.2.3. +++++++ She is also helping me sell a house soon. Very helpful and honest always goes out of her way to help find what's best for you! I spoke to another agency about selling my home and a suggested listing price. I wasn't sure if their suggested price was high or low so called Paige for a second opinion. She opened my eyes and said their suggested price was way too low. She said they are just trying to make a quick sell at your expense. She walked the property and performed a market study to back up her statement. I listed my home with Paige and she had it sold within a month. She had my home sold within a couple thousand dollars of the asking price. If I had listed with the other agency I would have lost about $80k. There aren't enough stars to rate Paige.... She is a Rock Star!!!! Paige worked very well with us from the start when telling all we needed to know about listing our house. And everything she did must have been right because our house sold immediately. Paige Moore is a top-notch realtor/broker. She and her team are extremely knowledgeable, helpful and efficient in all areas of the selling and buying process. She is extremely honest and professional and her years of experience are valuable when I need advice and when negotiating any area of the real estate transaction. I wouldn't use anyone else for any of my real estate needs and would highly recommend her to anyone. Overall the experience was great. Amanda Madden worked with me for over a year to get a somewhat difficult piece of property sold at a fair price. The house was older, with issues, and occupied at the time. It was also part of an estate that was in dispute, so it required a lot of patience to get it sold. Paige represented us on the purchase of a new home and sale of our old home. She and her team are a class act and went above and beyond. Great communication throughout both transactions. Paige was a pleasure to work with. We had been looking at houses for several years, all the while our needs were ever changing as was our budget! Needless to say, I'm sure we were driving her mad! However, she never showed any signs of frustration and continued to keep us updated on the latest properties and we were able to find the perfect house for our family! Our experience with the Paige Moore Team was great. They are knowledgeable, accommodating and confident in what they do. They were able to find a house in our price range that was perfect for our family. They truly go the extra mile. I would recommend them to anyone. We have utilized the Paige Moore Team on several occasions. Paige is an outstanding realtor/broker. She possesses fundamental strengths as a realtor and as a businesswoman. Especially valued is her honest, highly informed evaluation of property and her direct, but diplomatic, communication with the client or potential client. Great real estate knowledge, experience, professionalism, and results. I have worked with Paige for many years, always produces results. I highly recommend this team for your real estate needs. We were trying to sell our home so we could build on our lot in the Smoky Mountains, but unfortunately the housing market was at its lowest level. Paige was able to get us a buyer with a reasonable offer so we could move to the mountains and start building. Paige is not only an excellent Realtor, but we consider her a good friend. Our relationship with Paige has been one that goes beyond anyones expectations! Not only does she know her markets, she is very knowledgeable on the law and makes your transaction seamless. We relocated to AL from out of state and went out of her way to make us feel welcome. She's was not only our agent...she become family. I would absolutely recommend the Paige Moore Team!! Knows the business and what it takes to sell your home. Ours was only listed for 10 days when it sold because we followed all her advice. Paige advised what we needed to improve and fix inside and our. How to arrange furniture and what to put in storage unit. I am an out of state licensed real estate broker and was in need of selling a property in Fairhope. A friend recommended Paige Moore to me and I was very impressed with her professionalism, diligence, good judgement and advice. Paige Moore is a highly skilled professional and employs all the digital media for promotion and marketing, which also allowed me to close the property quickly when I wasn't able to be there. I found Paige to be very honest and hard-working. So, she earned my respect and her commission for a job very well done. I will recommend that you discuss your real estate issues with her and let her work for your best interests too. Best of luck. Not only is Paige Moore so personable, finding common ground with probably everyone she speaks and works with, she is quite knowledgeable of her field and extremely professional. She has worked hard to provide a knowledge base to her clients that is very impressive. I recommend Paige Moore's entire responsive team to anyone who wants to get ahead in the real estate of southern Alabama. Paige is outstanding! The best in her field. I would recommend her to anyone. Her knowledge and professionalism is unmatched. The time and research that she and her team did for me was very detailed and helpful with every transaction I was involved in. Paige Moore, helped me tremendously in selling my property. She is extremely professional, knowledgeable and went out of her way to assist me in so many ways. She keeps you informed on showings and gives feedback, which is very helpful. I will not hesitate to use Paige in the real estate market in the future. Kristy was very helpful in getting my lot sold. We made a deal with the buyer for owner financing and she was a very valuable asset in getting all of my questions answered. I would recommend Paige to anyone buying or selling. We had a great experience! Paige's knowledge made the process of selling easy. She did a great job during the negotiation process looking out for our best interests. We were living overseas when we decided to sell our lot in Baldwin County. Paige and her staff handled all efficiently. They responded quickly, and always took into consideration the time zone differences. Although we still have not met personally, I would certainly try to work in a quick thank you visit whenever we visit the area. Our experience with Paige Moore couldn't have been better! We had expected it to take 6+ months to sell our house but thanks to the detailed advice Paige gave us on how to make our home more marketable, it sold in less than two weeks and at a price above the list price! She is professional and extremely knowledgeable of the industry. We will definitely use Paige again! Paige sold our house before it was even listed!!! Fantastic!!! Can't get any better than that. Completely professional and a pleasure to work with!! Thank you!! Paige and her team were very helpful to me in the sale of my home. I highly recommend Paige Moore and Remax by the Bay Team for helping make your real estate experience a good one. Paige handled the sale of a property in Spanish Fort, Alabama and brought me a full price offer within a day or two of being hired. I was very pleased with the results. She handled another sale of property for me in Fairhope and brought a good offer within a short period of time. She was very professional in a difficult situation with two other owners of this property. Paige followed through with everything she said she would do. 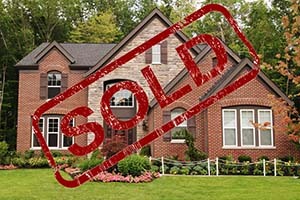 Sold my house very quickly also had great ideas in regards to what made the house appealing. Page and her team are great. Would highly recommend them if I was buying or selling a house. Paige has represented my firm for the last 6 years in listing and disposing of bank owned assets. She has been fair and reasonable in her dealings, realistic in her prices. She has a very good handle on the Eastern Shore Market and is able to identify strengths and weaknesses of each property and their impact on list and sale price. My realtor was very knowledgeable of the home buying process from A-Z. She responded to all my inquiries and calls in a professional and timely manner. I highly recommend the Paige Moore Team!! I had a lot of trouble with my lender- I had been preapproved and filled out all the paperwork. About a week and a half before closing I called the loan officer to make sure everything was in order and the loan officer said there was no way we could get the loan through before closing. If my agent had not swooped in to the rescue and guided me to a much more professional loan officer, I would not have been able to buy the beautiful house I am in today. As a first time homebuyer, I learned there are so many things that can go wrong when purchasing a house. However, if you have the right realtor they can truly turn a crisis into an opportunity. Paige Moore is very professional and caring. And will do a wonderful job for all your real estate needs. As a investor she fulfill all our needs to locating, marking and helping renting our properties. Her staff is very helpful with the real estate process. I would recommend Paige Moore and her Team. We relocated to Fairhope with very little knowledge of the area. Paige took us to every corner of Baldwin County to make sure we had the perfect home and location for our family. She is extremely professional, knowledgeable, and actually made an arduous task enjoyable. I was impressed with her knowledge of the local builders. Buying a quality built home was our top priority and she made sure we found that home at the right price. I cannot say enough positive things about Paige! I would highly recommend her to anyone looking for a home in this area. I was very happy and impressed with the professionalism from the Paige Moore team! Paige was always willing to take our questions through phone calls, texts, and emails at any hour. She went above and beyond to assist us throughout the entire process of selling our home and buying/building our new home. She was there every step of the way! Her team was prompt with phone calls to make showing appointments and very patient with us and our schedule. Everything was explained very clearly to us and the entire team helped to make this an easier process. We truly appreciate all of their hard work. We found Mrs. Paige through a friends recommendation. And little did we know what a blessing that would turn out to be. Mrs. Paige was very patient with us and also a pleasure to deal with, even though we had some pretty high expectations in the home we were looking for. Funny enough, she knew that the right fit for us was to build, but never once forced us into that option. She allowed us to come around to that conclusion ourselves and supported us in every turn. Even once the deal was done, she followed up with us regularly to make sure everything was still to our liking. As a matter of fact, I spoke with her about a week ago, almost a year and a half after we purchased our home and moved in. If this site would allow more stars to be given than 5, she would get every one allowable. Quite honestly a hundred stars would not be enough to truly express the pleasure my wife, daughter, and I had in our dealings with Mrs. Paige and her entire agency. If you are looking to buy or sell a home and you overlook her you are doing yourself and your family a disservice. Truly a one of a kind lady and a true pleasure to work with and be around. Paige was excellent to work with. I described what I was looking for and she listened and found it for me. She is very professional but at the same time very personable and I will be enlisting her services again in the very near future and look forward to working with her again. Paige Moore worked with us when we were looking for a new house in a new County. I found her to be not only knowledgeable and extremely capable and smart, but she made the process fun! We highly recommend her. We worked with Paige and her team when we moved to Daphne seven years ago. We found Paige to be very knowledgeable about the area and the real estate market. Her team was very patient with us as we explored available houses on the Eastern Shore. Paige is very active in the community, especially the Chamber of Commerce. I have recommended Paige in the past and will continue to do so. Paige is the best in her field. She takes the time to get to know what and where you would like to live. It was great to have someone who will actually listen to you and show you properties that fit what you are looking for. It kept us from wasting time. Found a house that I am in LOVE with. She is a good strong negotiator. What a great price she got for us. She will always be my go to realtor. Thanks Paige. Paige helped me from start to finish in purchasing my first house. She was very knowledgeable and was there every step of the way. She made every effort to ensure I had all the information I needed to make a well informed decision. I had an excellent experience working with Elsa and Paige! They have an incredible knowledge of the area! They learned early on what my husband and I were looking for in a house, and ultimately found us our dream home. I couldn't be happier! We listed our house with Paige in Fairhope in the summer of 2010 - the "bottom" for home sales in many years! I had approximately $750,000 - $800,000 invested in the home and was not "pressed" to sell (except by a spouse who wanted to relocate!) Paige initially suggested a "realistic" listing might be $750,000 - $800,000, but like many other owners, I initially listed at a higher price! After several months of "low interest", we lowered the "asked" price to $800,000. Then, after several additional months of "low interest", we received an offer for $600,000 - which I considered an "insult", and advised Paige to "blow him off"! However, Paige calmed me down and advised that we "counter offer" at a price "slightly less" than my asking price. In the interim she "collected" additional information on the perspective buyer, his "interest level", financial conditions, and other relevant information. A counter offer" of $700,000 was made, and I again felt "insulted", BUT Paige cautioned that this was probably the "best" I could expect in the foreseeable market. I decided to accept the offer - thinking that I might be able to make up the "loss" in the Charlotte, NC, area where we were planning to move. And, we were able to purchase a very nice home in Charlotte for a "great price" ! As I have followed the real estate market in Fairhope since, I probably would have not been able to get that price - even to today! In choosing to list our home with Paige, I had discussions with several "potential" agents, BUT several friends had advised that I contact Paige Moore. I was very impressed with Paige's business demeanor as well as her personality. She was very honest in her advice to me throughout the entire "selling process" - including advising when my expectations and desires were probably UNREALISTIC. However, she LISTENED to my thoughts and rationale, and openly discussed options - AND advised of the practicality and possibilities of each option! I have been contacted by several folks in the Fairhope area since our move in 2011, asking about out selling experiences, and I have advised each person to contact Paige Moore. 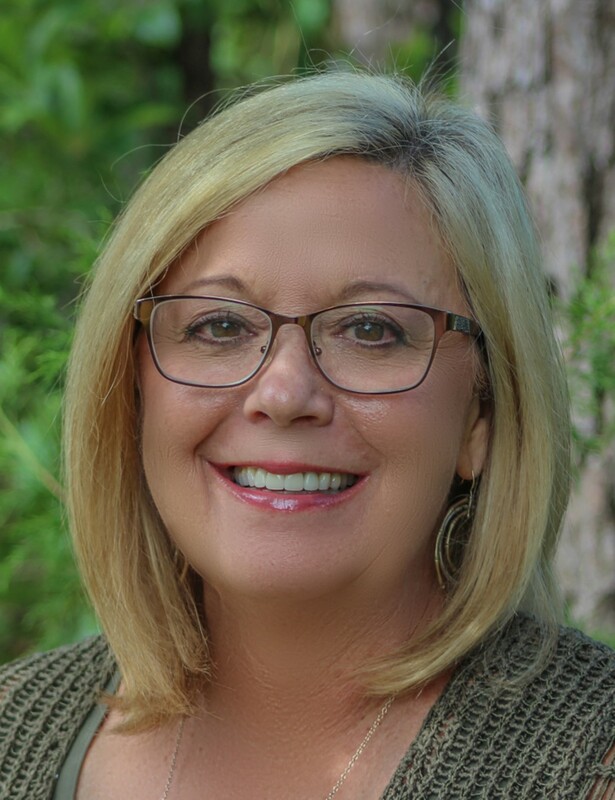 I have the highest regard for her professional abilities and conduct and will continue to recommend her to anyone - whether selling or buying - associated with real estate properties in the Fairhope area.